This grass is semi-evergreen, so it can lose some of its foliage in winter. In colder regions or more exposed gardens, it may lose it all, but then fresh new growth appears again in spring. 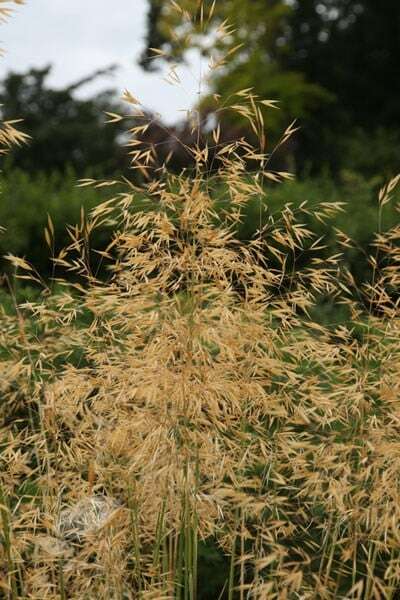 Arching stems of glistening, golden, oat-like flowerheads above clumps of slender, grey-green leaves. 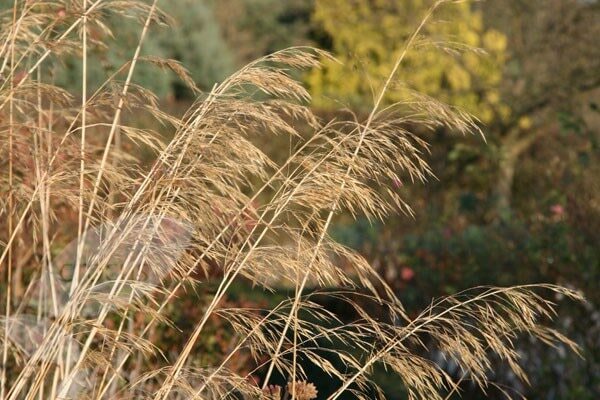 This majestic semi-evergreen grass is an excellent specimen plant for a sunny, mixed or new perennial border. Perfect for introducing movement, it looks stunning under-planted with the rich purple flowerheads of Allium hollandicum 'Purple Sensation'. Garden care: When planting always wear stout gardening gloves to protect against the sharp edges of the basal leaves. Wearing gloves, comb through the plant in early spring to remove dead foliage. I have got this nice plant last summer, happy with that. Good quality, healthy looking, pest and disease free. My stipa is growing good, now is bigger in 4 times. Happy with that. This grass looks good just about all year round. 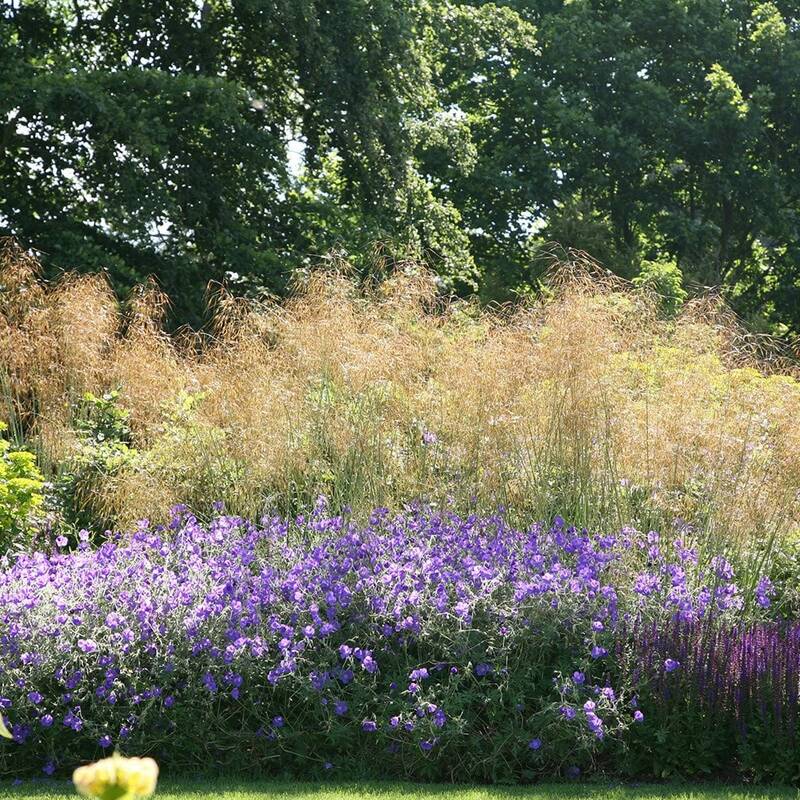 It's worth thinking about where you site it, because it looks fabulous with the sun shining through the flowerheads, especially in late summer, or when they are covered in frost, or hung with raindrops. People often think that if they have a small garden, they can't grow it because it is such a big plant. But it's not invasive, so if you have a sunny patch, try it. It's about the size of a small phormium. And it's EASY. All you have to do is cut back the flowering stems when they start to look too tatty. Very attractive plant. Good talking point in any garden. The grass survived a very harsh winter, a plus but taking a long time to settle in and produce grasses. works very well in my gravel garden (damp in the winter and like concrete in the summer)and has needed no attention whatsoever. it seems to thrive on neglect in this position. 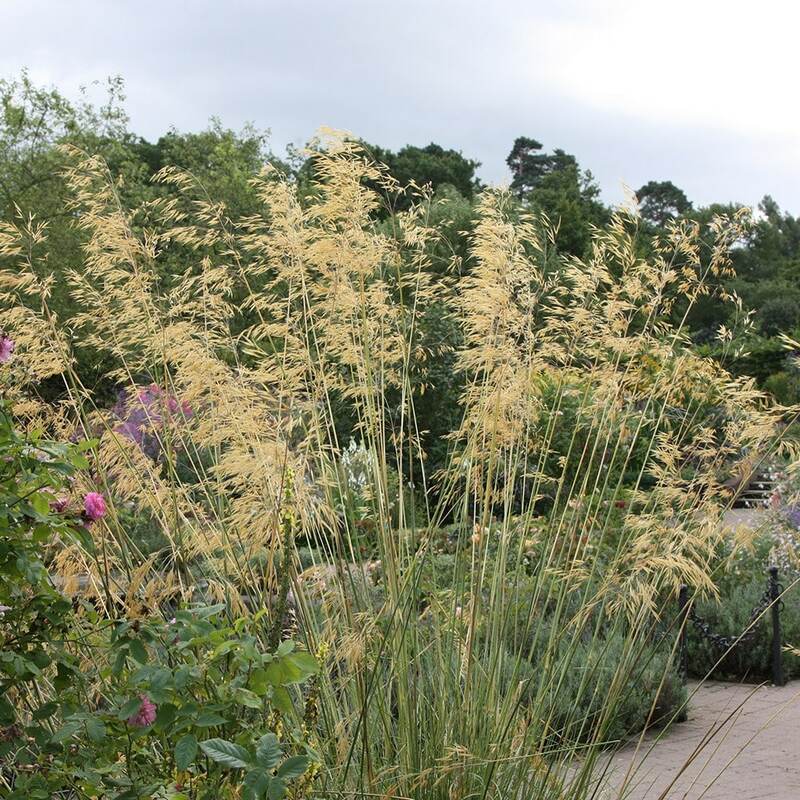 very tall delicate stems and seedheads a lovely golden colour which stand up to any weather. Definitely buy from crocus again. 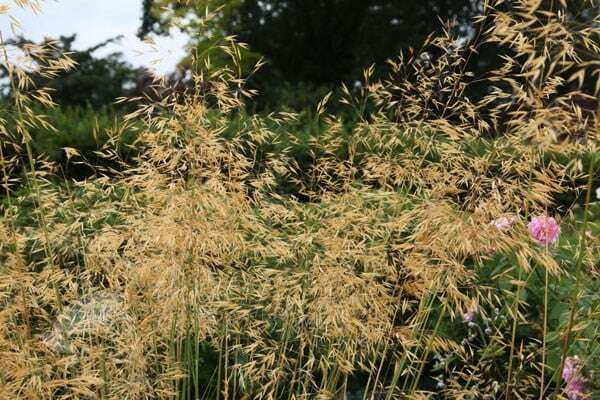 I am still waiting for the Stipa to flower. I hope the plants do better this year having settled in. Hello, It is not unusual for newly planted things to concentrate their efforts into producing root growth rather than top growth. If the conditions are good and the soil is reasonably fertile, then in time it should start to put on top growth. 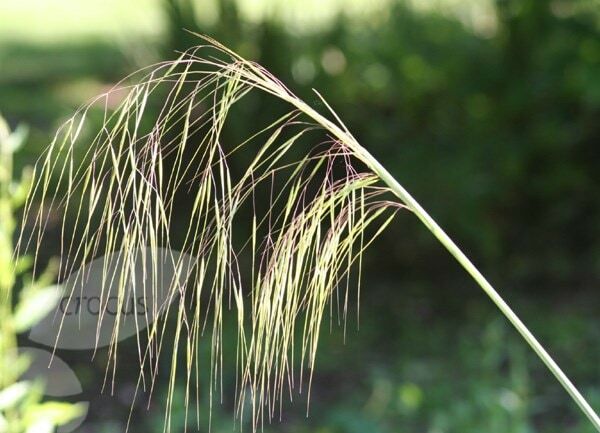 HI..just wondering if Stipa gigantea can be grown in a large container on a very sunny, south-facing balcony? I'm guessing it would need deep soil for the roots but let me know if you think this might work. thanks!